The Indian government is set to order the return of its two helicopters in southern Maldives within 10 days, reports Indian media. Indian newspaper, The Print, reported last Wednesday that the Indian government has made the decision to have the two helicopters and its crew, made up of Indian Navy and Coastguard officers, fly back to India within 10 days. 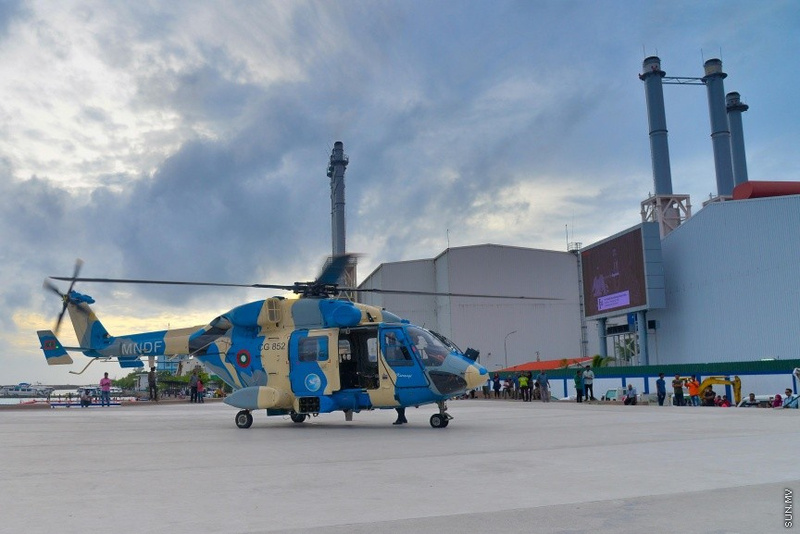 India is ordering the return of the helicopters after its agreement with the Maldivian government for the detachment ran out earlier this year, and the Maldivian government expressed its wish not to renew the agreement. Ministry of Defense and National Security of Maldives reported earlier that it made the decision not to extend the agreement over lack of proper utilization of the two helicopters, and the agreement by Indian government to donate a Dornier maritime surveillance aircraft to Maldives. The Indian helicopter currently stationed at Gan, Addu City was sent to Maldives in 2010, and the helicopter stationed at Iskandhar Airport in L. Atoll was sent to Maldives in 2011. The Print, in reference to sources within the Indian government, says India will continue patrolling economic zones.